Cardvidae on the come up, if I do say so myself. Hey everyone, Ceebs here! First and foremost, I’d like to take the prominent piece of the article to welcome Raymond ‘Rucci’ Hu to the Corvidae family. Rucci will be joining Rooks and Tama in an assault on the top placings in AU/NZ Hearthstone. In time with the ESL AUSNZ Champs where Kenji stole the show, it feels appropriate to discuss what’s happened thus far and how our boys plan to present themselves for the next iteration of Hearthstone competition. C: You are a multiple Legend rank veteran, but this season you achieved this prestigious placement within a week or so. I wanted to ask if there’s been a time you’ve achieved it quicker, if not, what did you do this time around to get there? R: My fastest legend run in quite a while, I Managed to pull off a win-streak from 16-4 in just a couple of hours, from there it took me about a 4-5 hour sitting to get legend this season. Tempo Mage & Zoo were the choices this season due to the amount of Warriors I was facing. For some of our readers who dream of Legend rank, what’s it like when you get there? Are rankings volatile? Is there a win-streak at Legend? Being a multiple legend rank player there is no specific feeling i get from obtaining it season to season, but it is definitely something people should go for. As for rankings within legend, it can get tough from time to time, often you’ll find yourself gaining anywhere from 50-100 ranks on a win, and lose even more for a loss depending on what your current rank is, Thus being no streaking system within Legend. You were at the ESL studios for the ANZ champs #1, what did you make of the regions best players, are you excited to partake in ANZ champs #2? I was excited to see some of the lesser known-names in the community come out on top thats for sure, The venue was great and was an all in all a good experience. 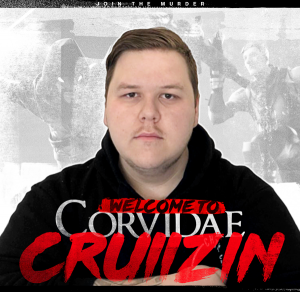 I’ll definitely be putting my game face on now and start making a name for myself and corvidaeinc. I have no doubt that we will be a force to be reckoned with in the near future. Are there any websites/workshops/forums that help inform someone about Hearthstone at any level? Do you use any yourself? I recommend /r/CompetetiveHS for people who find themselves struggling as there are guides almost weekly. Other than that I don’t find the need to use anything else as I am confident enough in my own ability. C: Tama you had dabbled in the first and second qualifiers for the LAN final this season of ANZ champs, what caused you to cease after two attempts? We know you’ve been busy relocating to Canberra but is there anything else? T: My inactivity was spurred by multiple real-life distractions, Canberra was one of them, and unfortunately, work hindered my ability to play in the others. What feelings do you have about our 3rd player Rucci joining board, have you had the chance to form an opinion? I feel comfortable with Rucci’s skill level. Raymond is a good player and I thrive on active discussion about meta, cards and events. I hope we can both mutually benefit from some team discussion. Did you catch any of the ANZ champs via twitch? If so what are your opinons? Unfortunately, I didn’t have enough time in my schedule to sit down and watch the full event. Although from what I saw accompanied with the feedback from Rooks, I feel like I have enough to comment on it. The supposed “Skill Gap” between players in Australia, was something that we thought was indomitable. This isn’t necessarily the case anymore. You’ve earmarked yourself within the team as someone who can identify cards that excel in the current meta (crazed alchemist is life) are there any cards you see that should almost always be included given the current meta? The Meta of any game with so many variables such as Hearthstone makes it near impossible to develop a static Meta. Games like Yu-Gi-Oh have consistent meta because there are singular decks that are SO good that only a pool of 3-4 decks can contest at a top level consistently. This isn’t the case with Hearthstone. RNG as well as controlled changes to the game state make the game different every single time you ladder. Unfortunately, because of this I can’t really pinpoint a single card that can always be included in the current meta. There are cards that are just good, and are always played because they are dominant, but meta calls are very precise and determining which cards are better in which situations is a daily job. 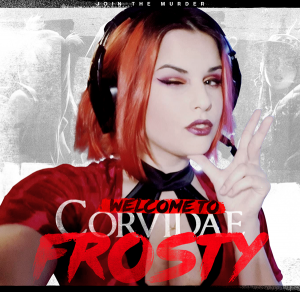 C: Hey Raymond, how did you come across Corvidae’s HS team, care to explain how you were recruited? R: I met Rooks during ESL Invitationals and I noticed he was spectating a lot of my games afterwards. 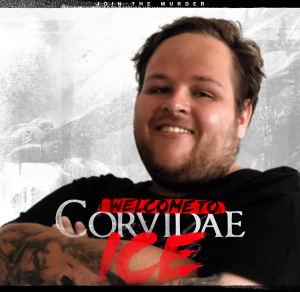 I didn’t think too much about it but two weeks later he approached me asking me to join Corvidae’s HS team. I took him up on the offer and here I am now. What do you feel you can bring to the table, we know that Rooks & Tama are very driven and determined for success, is this something you share? 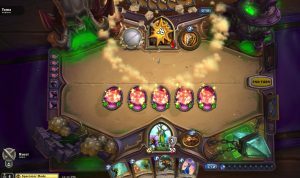 What do you feel makes a good hearthstone team? 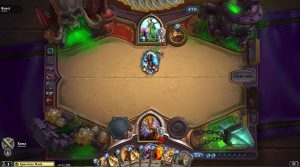 It’s difficult for people to understand the importance of having a good team for a game like Hearthstone. Some people even ask “why bother having a team?” Now this train of thought is understandable. I mean come game day it’s every man for himself. But what people don’t see is all the specialised practice and criticism that happens within the team environment to make its members perform at their best. I think this is a team’s most important quality. Are there any personal ambitions you hope to achieve in the foreseeable future?